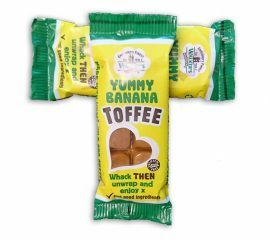 A lovely little slab of banana toffee - whack it and then sit back and enjoy the banana flavour in this toffee treat...they taste so good and luckily there's more then one slab to enjoy! Price is for 3 x 50g slabs! 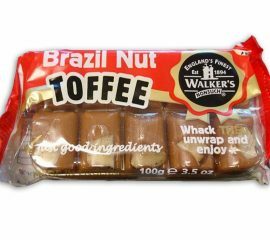 Everyone loves a chewing nut...of is it a toffee pip??? Yep this is another sweet with two names but whatever you call them we're sure you'll love them! 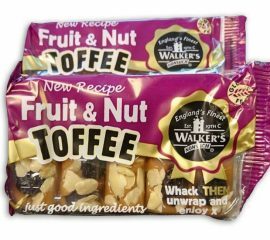 A small chewy toffee with a chocolate (flavoured) covering - its tastes just like chocolate to us! 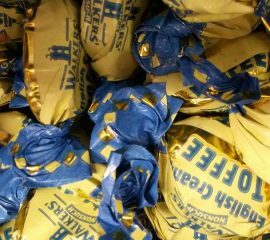 You won't be able to just eat one! 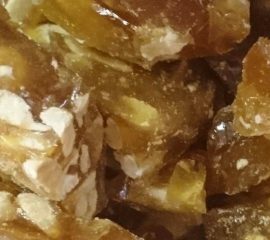 A classic creamy chewy toffee - full of flavour! 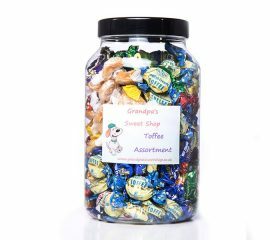 A lovely jar filled to the brim with all kinds of your liquorice favourites - if you love the black stuff or know someone who does then you won't go far wrong with this jar! 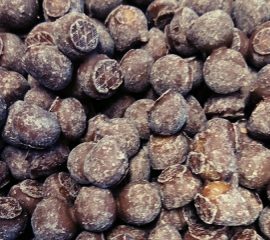 The jar contains at least 1.5kg of lovely liquorice but you're likely to find its got even more than this in it! The contents include: Liquorice Toffee Liquorice Wheels Liquorice Flowers Liquorice Torpedoes Liquorice Cuttings Liquorice Allsorts Pontefract Cakes Liquorice Cream Rock Liquorice Pipes The jar is 13cm in diameter and approx 18cm tall - this jar makes a great present and can have all kind of uses after too (although you might just want to keep filling it with sweets - we wouldn't blame you!) PLEASE NOTE: THIS JAR NOW COMES WITH A FLAT BLACK LID AS SHOWN IN OTHER PHOTOS Occasionally (not very often) we may run out of a particular sweet, if this is the case we'll substitute it with another of the same great taste and quality. 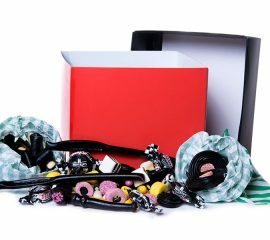 A real treat for any liquorice fan out there - and there's enough in it to share...that's if you want to of course?! 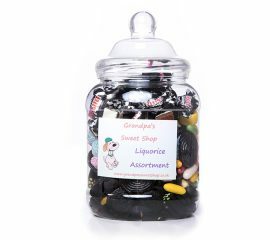 From Allsorts to Toffees you'll find it here - 10 different types of liquorice inside filling this hamper up! The hamper measures 17.5cm x 17.5cm x 15cm and is finished off with a bow - making a perfect gift! This hamper contains: 4 x Catherine Wheels 100g x Pontefract Cakes 100g Liquorice Toffee 100g x Liquorice Allsorts 100g Liquorice Cream Rock 5 x Liquorice Flyers 4 x Skippers Liquorice Pipes 100g Liquorice Comfits 100g Liquorice Chargers 100g x Liquorice Hard Gums At times we may be out of stock of a particular sweet (not often), when this is the case we will include a suitable substitute of the same great taste and quality.